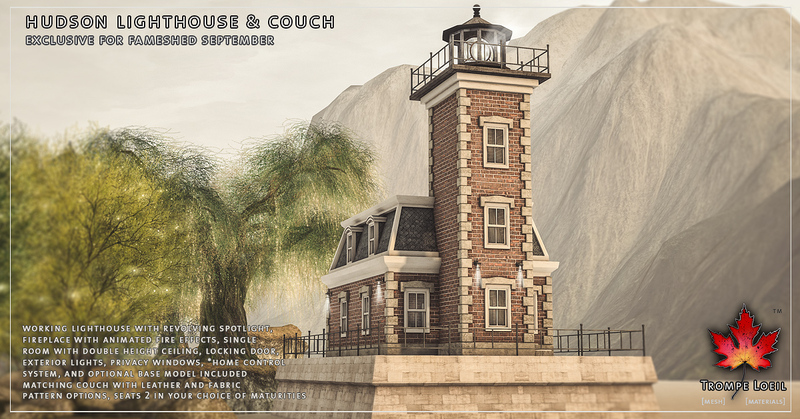 A northeastern classic lights your way home, high above the salt water waves – the new Hudson Lighthouse and matching Couch, at FaMESHed’s September round! 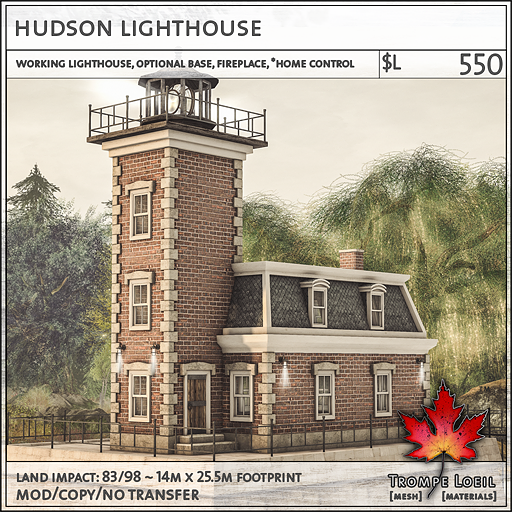 The Hudson Lighthouse is a single room, double height ceiling build with a working, rotating light that turns on and off on owner’s touch. 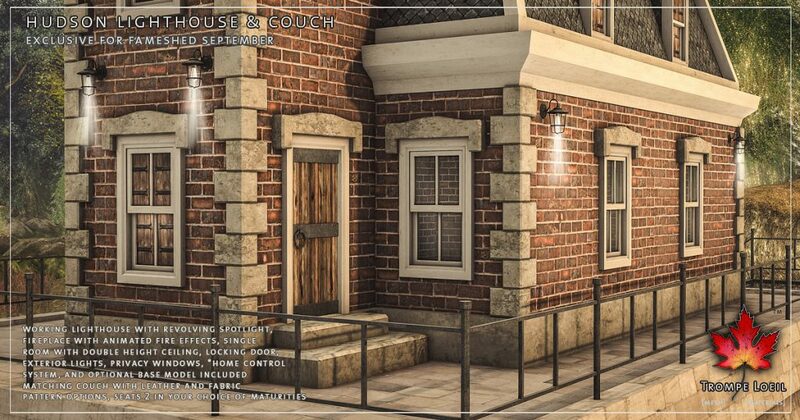 Rustic brick construction inside and out, with worn wood floors and ceilings and privacy windows, exterior lights, locking door, and our *home control system round out the features. 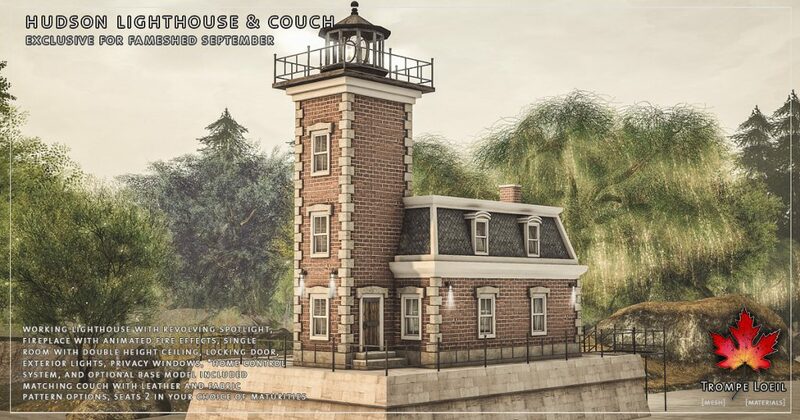 We include a standard build model and an elevated base model with stairs for placement in the water! 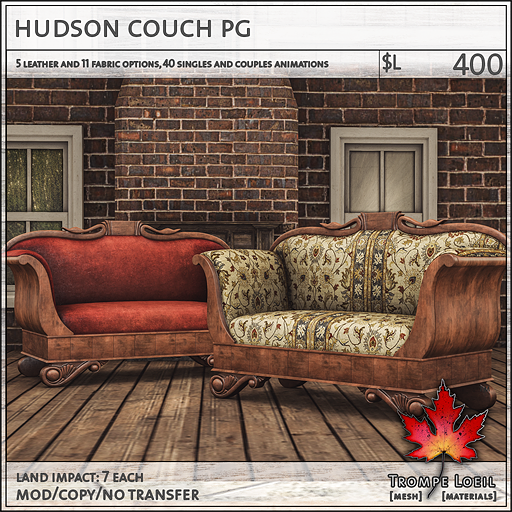 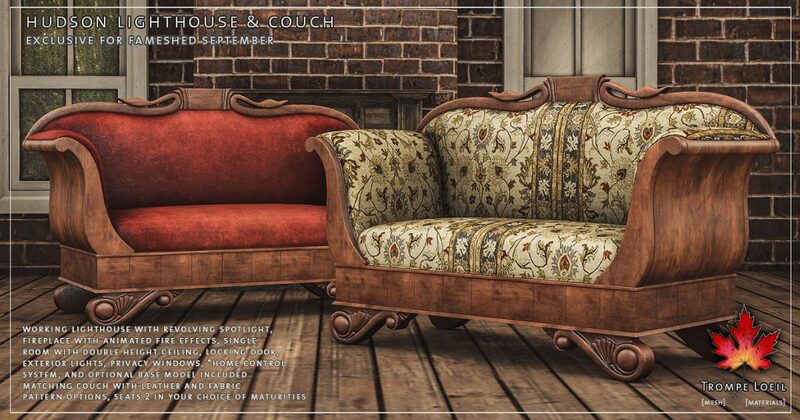 Plus, the matching Hudson Couch is an heirloom piece that fits perfectly with your antique aesthetic. 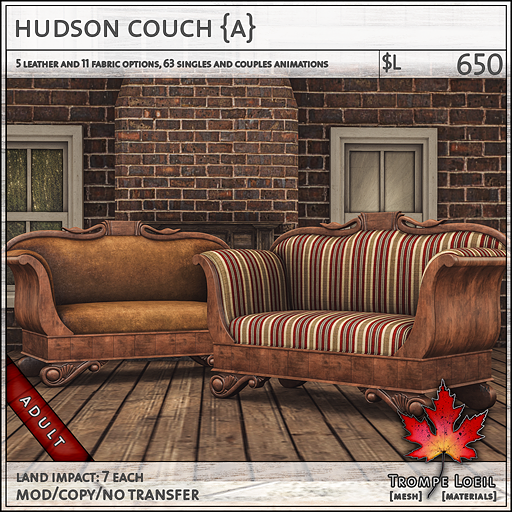 We include leather and fabric models with lots of color and pattern options on touch, in your choice of maturities for singles and couples. 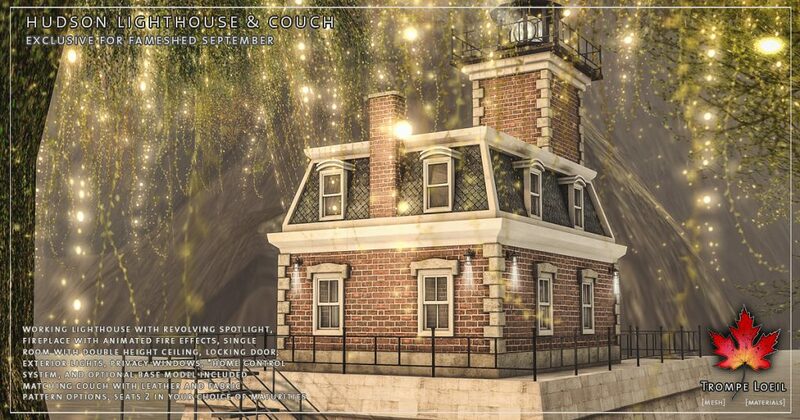 Only at September’s FaMESHed round!